How to Become a CCFS®? Decades ago, I financed my college education with a $2,000 loan and some help from their my parents. My cost to graduate from Ohio University in Athens, OH in 1972 was around $10,000. That’s $10,000 for four years of college! I keep bringing that up now with my “elderly” friends, as the cost of graduating from Ohio University today is well over $100,000, with an average of $32,000 in student debt. Well, to be honest, colleges have changed. Even though colleges call themselves “non-profit,” believe me, they are ALL about making money. College presidents spend money faster than my wife spends at the local clothing shops here in Naples, FL. Colleges presidents are always looking for the latest and greatest to out-do other college presidents. When I went to Ohio University in the 70’s, I had comfortable living arrangements, but we didn’t have a Starbucks and a movie theater inside our dorm like Bloomfield College in New Jersey. And yes, state subsidies are not what they used to be, but they have gone up a lot! The problem is they’ve only gone up at half the rate that college costs have inflated. Furthermore, financial aid was more likely to consist of grants and scholarships back then, whereas today student loans are a much higher percentage. And what if parents want to borrow for their children’s education? Today PLUS loan interest rates are 7.0% with loan origination fees of 4.264%. That’s 11.264%! I can get a $300,000 mortgage over 15 years for less than 3%. To get my point across about the dramatic increase in college costs, let me make this simple to understand. If car prices had gone up as fast as college tuition over the past four decades, the average new car would cost more than $90,000. The real culprit of high college costs. Some of the increased spending in education is due to a sharp rise in the number of Americans who go to college. While the college-age population remained level, the actual percentage of that population enrolled in college has risen significantly, especially in the last 15 years. This information comes from Dr. Richard Vetter, professor of economics emeritus at Ohio University. I studied under Dr. Vetter at Ohio University. He’s now the director of the Center for College Affordability and Productivity, an independent, not-for-profit center based in Washington, DC. He’s the Godfather of College Affordability. He would teach us that money managers and large traders often manipulate the stock market, and when it comes to Federal government spending... 1 + 1 = 10. The thing is he’d PROVE IT! Dr. Vetter believes our educational system is not preparing students appropriately. He also believes that many degrees today will never to lead to employment, but merely provide each college with tuition money to buy new things. I love the honesty of this guy! Interesting enough though, Dr. Vetter has found that the increased spending by colleges has not been going into the pockets of the typical professor. Salaries of full-time faculty members today, on average, are not much higher than they were in 1990. In contrast, Dr. Vetter says a factor driving increased costs is the constant expansion of university administration. According to the Department of Education data, administrative positions at colleges and universities grew by 60 percent between 1993 and 2009, which Bloomberg reported was ten times the rate of growth of tenured faculty positions. Even more striking, an analysis by a professor at California Polytechnic University in Pomona found that, while the total number of full-time faculty members in the California State University system grew from 11,614 to 12,019 between 1975 and 2015, the total number of administrators exploded from 3,800 to 12,183 -- a 221% increase. Financial Professionals need to make "college costs" your new battle cry. As a financial advisor, you have a perfect opportunity to use today’s high college costs to separate yourself from all other financial advisors. Have you ever notice TV commercials lately, especially financial advertisements? They are about as dry as the desert. “We are fiduciaries, and we can help energize your investments.” What does that mean to a family? It gets NOBODY’S attention. Being an advocate for cutting college costs for families gets everyone’s attention in the 30 to 50-year-old age group. Plus, reducing the out-of-pocket college cost from $60,000 to $40,000 yields a higher return on investment for a family than they could EVER get in the stock market. So what’s the easiest way to become a college cost-cutting advocate? How do you do it? In my honest opinion, you first need to get certified. If you want to make college costs your battle cry, you must demonstrate your sincerity. The letters CCFS® (Certified College Funding Specialist) after your name does just that. After demonstrating that you are an expert in college funding (CCFS®), you then need a marketing piece to establish your battle cry. Families assume planning for college means selecting the right school and going through admissions. So demonstrate your sincerity by helping them through that process first, then using that entre’ to discuss cutting costs. First, figure out what kind of vocation would fit the student using Career Planning. Four-year colleges aren't the only way to go. Take into consideration junior colleges and vocational schools. Knowing the career direction of the student can save the parents lots of money. The second step is to figure out the type of college the student wants to attend, or College Selection. The student starts out by getting out a piece of paper and writing down 20 school interests and goals, then cutting it down to the top 5 or 10, and then search for the schools that match up. Finally, the student needs to gather as much information as possible about those 5-10 schools he or she wants to apply to using College Visitation strategies. Try to visit every potential college (preferably on a day classes are in session as this gives the student the best feeling of the school possible). If the family can't visit all the schools, ask the schools if they have video tours available. Again, the College Decision Navigator has all this information and more. Only after going through this entire process can the student take the last step, which is to pick the most affordable school from the list. For over 20 years, the nation's leading financial advisors, broker/dealers, and major media outlets have been using his research, funding strategies, training, and insight. Ron is highly regarded as an expert in the college funding field. He is a former Chief Financial Officer of a Fortune 500 company and currently owns his own financial advisory company specializing in cash flow planning for business owners and executives. He developed the Cash Flow Recovery™ process that uses cash flow management principals to increase asset value and build wealth for business owners. Ron has been quoted in U.S. News and World Report, Kiplinger's Personal Finance, Smart Money, Financial Advisor Magazine, Small Firm Profit Report, Practical Accountant, LIMRA's Market Facts, Senior Advisors Magazine, HR Magazine, BenefitNews.com, Employee Benefit News Magazine, ProducersWeb.com, Entrepreneur Magazine, Insurance Selling Magazine, CollegeNews.com, The Christian Voice, and Columbus CEO Magazine. ©2019 Association of Certified College Funding Specialists. All Rights Reserved. CCFS® is a trademark of the Association of Certified College Funding Specialists. The Association of Certified College Funding Specialists owns the certification marks CCFS®, Certified College Funding Specialist, EDUCATION LOAN ANALYST™ and CCFS® related Badges (Mortarboard & Tassel) in the U.S., which it lends public usage of these marks to individuals who successfully complete the Association of Certified College Funding Specialists initial and ongoing certification requirements and maintains an active membership. Stay informed on upcoming news and events. 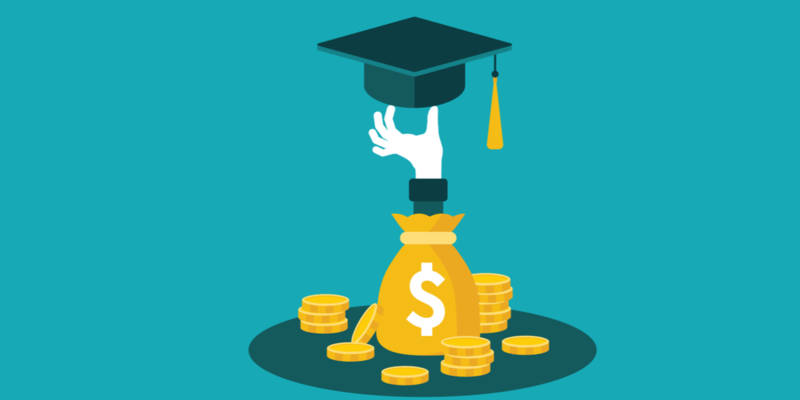 We’ll even drop in a few timely tips, advice and strategies for helping college bound families faced with the daunting tasks of paying for college. ©2019 Association of Certified College Funding Specialists. All Rights Reserved.